Only a couple days out from the launch of Heather Fiona's Every Beginning Has An End, we got in touch the Footscray based soul-pop expert to dig a little deeper into her endlessly charming debut album. 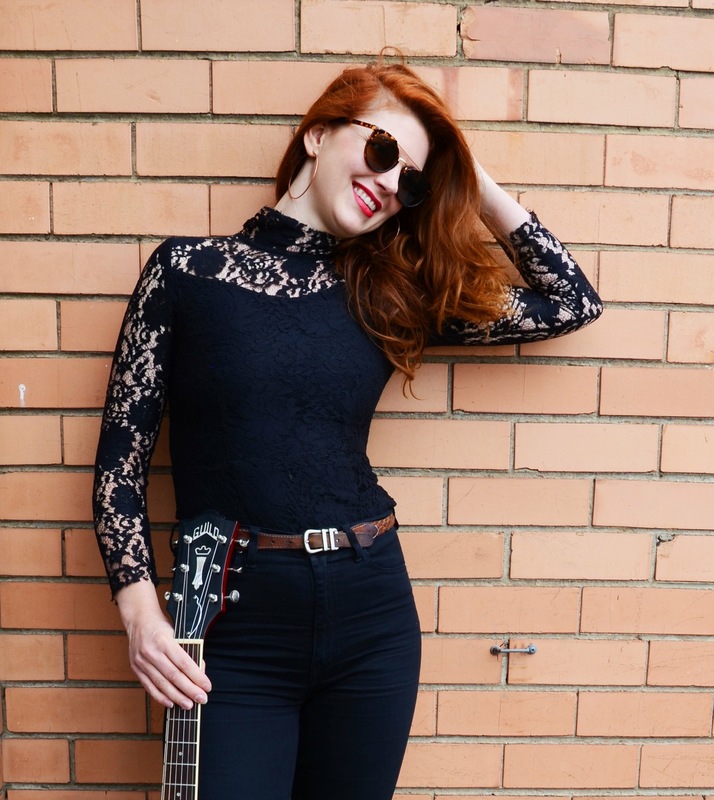 Whilst maintaining an engaging unpredictability that shuffles between motown, blues, country and pop, Every Beginning Has An End is tied beautifully together by Heather’s honest lyricism and endearing delivery. Whether Heather’s voice is playfully dancing through ‘I Hate You Baby’ and ‘Ode To Melbourne’ or crooning through the album’s darker side on tracks like ‘Every Beginning has an End’ or ’Sunday Afternoon’, it’s impossible not to hang off every word. As Heather’s lyrics are fussed over and intensified by her tastefully arranged for all-star Melbourne band, Every Beginning Has an End oozes with sass, vulnerability and an addictive singer-songwriter charm. As she prepares for the launch this Sunday at Bar Open, we got in touch with Heather Fiona to walk us through Every Beginning Has An End, beginning to end. This is exactly how it sounds – raw emotions spilling from a breaking heart. I wrote this while sitting on the floor of my friend Hilly’s vacant apartment after making the first steps towards leaving a failing relationship. The thing about being a songwriter is that you can be in the thick of an emotional crisis and still have the enterprising thought: ‘Ooh, I can get a song out of this!’ I especially love the slide guitar introduction on this track, courtesy of my friend and producer Tim Guy. A few friends and I formed a songwriting group, and Mona (who sings backing vocals on the record), challenged us to write a song based on the famous painting: ‘Over the Town’ by Marc Chagall. I’ve been asked to play this at a few weddings; however the protagonist is not in love – merely hopeful. People often don’t quite know how to take this one! It was originally conceived as a love song. It’s dry, dark and quirky, which are a few of the reasons I love it. This is part relationship story, part personal journey. The pre-chorus: “How come mama never told me…” details the realisation I had about how complex and confusing love can be. The chorus is a reminder to me about the importance of defying the pressure to change for someone else. This is a song born during the depths of winter when I found myself in a pit of self-loathing. It’s about succumbing to a dizzying temptation, albeit one that you’ll know you regret. Tim and I laboured over this track the most as I wanted it to sound dark and unsettling. Lloyd’s chaotic violin at the beginning complements the melancholic chords and brooding lyrics. I felt an overwhelming compulsion to write something that captured all the feelings of a new crush! I always have so much fun when I sing this and I feel pretty damn cool playing those guitar licks. And yes...I do hold his hand (smiley face). I lived in Brisbane for a year and came up with this refrain whilst driving back from the Byron Bay Blues Festival. Brisbane is a beautiful place, but I was missing Melbourne big time. Aah! That feeling when you’re doing pretty well post break up with getting yourself back on track. Then you have a moment of missing what you once had. Sundays can be reflective like that. You know that feeling when you’re being an idiot, wallowing and stewing about something, and all the while your friends are out doing fun things without you? That’s the crux of this number. I was trying to take the piss out of myself doggedly enjoying my misery. Check out Every Beginning Has An End above, and catch Heather Fiona launching it this Sunday at Bar Open with Cookie Baker and Alice Molan.